Pruning is not just pruning. Fine Tree Pruning – More a cosmetic type of pruning. Removes small and fine limbs from the tree to enhance the overall appearance. Hazard Trimming including electrical service wire clearance – Speaks for itself. Typically removes branches that are 50mm or more in diameter. This ensures the safety of property and persons. 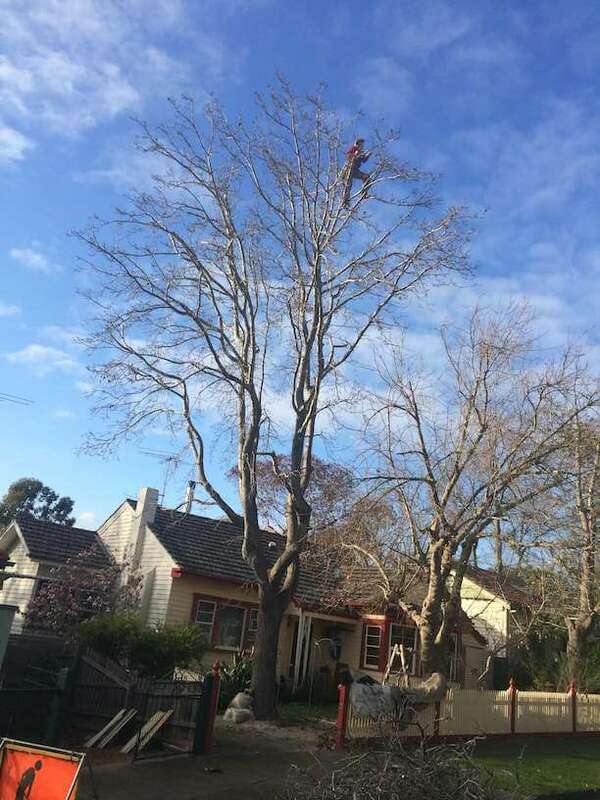 Crown Reduction Trimming – This should only be recommend if the tree has suffered significant storm damage, dieback or if the tree itself is interfering with power lines. Generally this does involve the removal of significant size branches and will affect tree structure of the tree. The Special Branch Arborist team hard at work. We carry all safety gear to allow us to tackle the most difficult jobs.